Houzz 66 of our visitors have told a friend about this plan. This well-designed plan provides an abundance of amenities for a minimal square footage. The master suite features a wonderful bathroom with large walk-in closet. The great room has gas logs as well as built-in cabinets and 10' ceilings that make it a great place to relax and spend time with family and friends. The rear covered porch provides a great space for those summer cookouts as well as being within close proximity to the well-equipped kitchen. The two car carport provides easy access to the rear porch and also includes a large storage space. Make this your family's next home! Question: What would overall width/depth of above plan be (if including wall depths), not including garage? Answer: Hello, Rear porch is 10', main house is 34', front porch is 6', those total 50', not including the garage. Question: Hi - I love this plan but it's too deep for my lot. How major of a modification to reduce the depth by like 5-6 feet? I can go wider but just not that deep. Even go up, if I had to :) Thank you! Answer: Hello, The front porch depth could be reduced one foot, and then the carport reduced 5 feet, or we could eliminate the storage room and coat closet, then shift the carport forward four feet to reduce the overall depth by 6 feet. The cost to modify the plans would be $425 in addition to the plan package. Allow 3 to 4 working days for prelims, and another 4 to 8 working days for final plans. Thanks. Question: To change eaves with no boxing and add another window in the kitchen do you call that modification changes . Answer: Hello, We suggest making those minor changes onsite with the builder since they are so simple. Thanks. Question: Hello, Could two feet be added to the master bedroom and deducted from the great room, like in your plan 59976? Answer: Hello, Sure, that wall could very easily be shifted onsite by the builder. We can modify the plan package for an extra $200, but we suggest making that change onsite since its minor. Thanks. 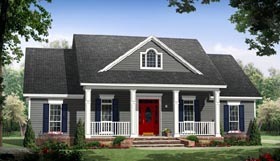 Answer: See plan 59976 for a version of this plan with a two car garage, instead of the carport. We dont have this exact plan with the bonus room above, but we do have a slightly larger version, which is plan 59134. Its 1888 s.f. heated, plus the bonus room. We could start with plan 59936 or 59976 and shift the garage back to create a space for the bonus room stairs, then add the bonus room above the garage. The fee would be $450 in addition to the plan package. Allow 4 to 5 working days for preliminary plans, and another 6 to 10 working days for final plans. Thanks. Answer: Sure. The house already has a brick skirt all the way around the bottom. So the foundation is already designed to allow for brick. Just tell your contractor to continue the brick all the way up the exterior walls, instead of using the siding. That would be an easy site change to make. Thanks. Question: Can the house have a real fireplace instead of a gas log fireplace? Answer: Hello, Sure, it would be easy to make this change onsite with the builder. The flue pipe would be just a little to the right of the front door on the roof above. Answer: Hello, The refrigerator can be shifted towards the rear about 3 feet to make space for a pantry cabinet located where the refrigerator is now. The stove would be recentered on the remaining counter space. This can be done onsite with the builder. Thanks. Question: Can I build a double car garage? 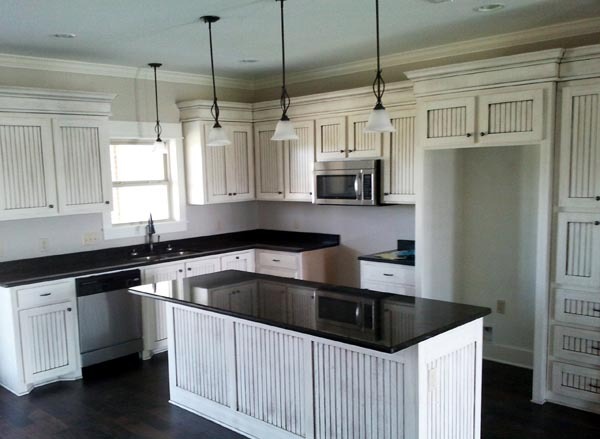 Answer: The basement version of the House Plan #59936 is House Plan #59988. Please look at the new plan #59988 this should provide you with what you are looking for without the modification costs. I hope you have a blessed day. Question: With the pitch of 8:12 could a play room for kids be built in attic? if so how big and where would stairs be installed. Nothing specific now just thinking. We really like these plans for my daughter and son! Answer: Hello, There is approx. 14 feet in the middle of the attic that could have 5 foot or more headroom. If a room were placed in the middle over the kitchen/eating/great room area, the width would need to widened by four feet in order to add stairs along the left side of great room or eating area. The great room ceiling would need to be lowered to 9', and the window in the gable over the front porch could be open to the playroom. 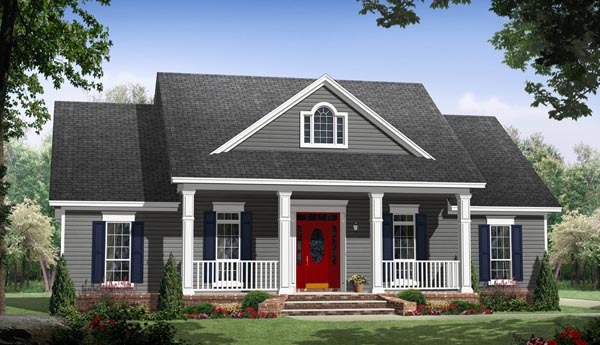 The ceilings would be sloped on two sides., and the gabled area over the front porch. Perhaps a better option would be to create a bonus room above the carport, and shift it back four feet to create a space to add stairs from the entry hall. 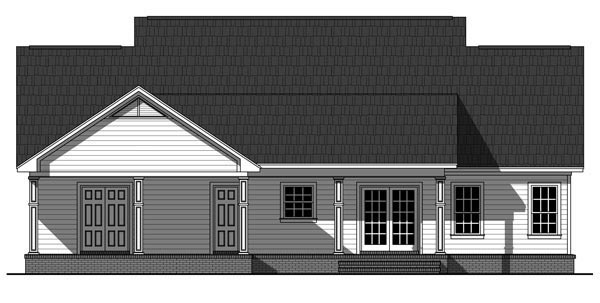 The roof slope over the garage would need to be raised to 12/12, which would allow for a 12x22 bonus room with five foot tall sidewalls, sloped ceilings on two sides, and a flat 8 or 9 foot ceiling in the middle. There would be a window on the rear. We assume you are just asking for comments, not a quote to modify the plans. If you need a quote later, just let us know. Thanks. Question: Can you tell me what color and brand this vinyl siding is? I want this exact shade and I cant find the color name anywhere. Question: Yes. I have ordered these plans! Beautiful house! I would like to lower the max ridge line by a couple of feet. Could I accomplish this by simply going down to a 7:12 pitch? Answer: Hello, 7/12 slope will lower the main ridge by 20". 6/12 slope will lower it by 40". Question: What are the dimensions for the master shower? Question: This cannot be 55 X 55??? Answer: Hello, I assure you, it is 55' x 55' The room sizes dont include the stud walls, and some may be off an inch or two here and there, but I have the actual plan here, and it is definitely 55x55. For instance- The actual plan shows 12'-10" width including stud walls for bedroom 3, 20' width great room, 12'-2" width master, and 10' width master bath. Those equal 55' when added together. The front porch is 6 ' deep, its 27' from front of master bath to back of storage room, and 22' deep garage. These equal 55 feet total. Question: Do you have this same design that has more heated sq footage? Answer: Hello, Yes, we do. 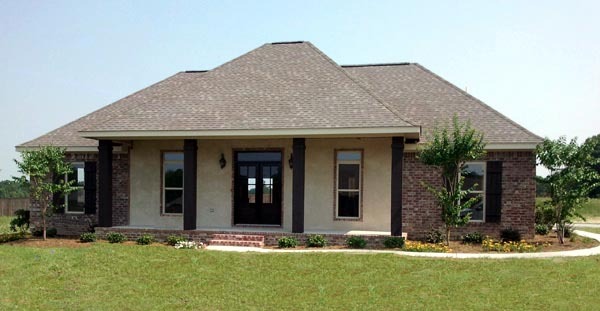 See plan 59134, and 59155 (basement), or 59167 (hip roofs,different front) We can modify any of these. Question: Can you give the dimensions of the 2nd bath? Question: The window in the gable over the front entrance is it just a decorative look or can you see it in the Great room ? Answer: Hello, The plans come showing it as just decorative. It is located in a way that you COULD open it up to the great room, IF you vaulted the great room ceiling. Now the window will be above the front door, so it wont be in the center of the great room, so we just left it as decorative, but it could be either way. However you want it. God bless! Question: Would it be possible to see a sketch of the left elevation and are the columns in front 8"
Answer: Hello, The main doorways and the bedrooms all have at least 32” wide doors which is handicap accessible. It is best to have 36” doors where possible, but unless we widen some halls, then they wont work in most locations. The hall bath only has a 24” door, but the master bath is a 32”. The master closet and toilet are only 24”. So we can modify the plan to have larger doors if you will let me know whether you are content with it the way it is, or if you want it altered to have all 36” doors. Thanks and God bless! Click Here to download a free PDF Brouchure of Plan Number 59936.